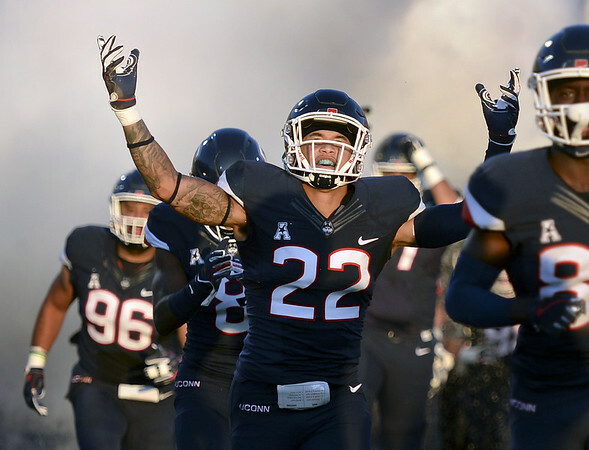 STORRS - UConn linebacker Eli Thomas has been hospitalized after suffering a stroke. “Things like this are very unfortunate but it is one of those things where you take one day at a time and do the best you can each and every day because you just never know what can happen,” coach Randy Edsall said during a weekly conference call. Posted in Newington Town Crier, UConn on Monday, 15 October 2018 16:13. Updated: Monday, 15 October 2018 16:15.